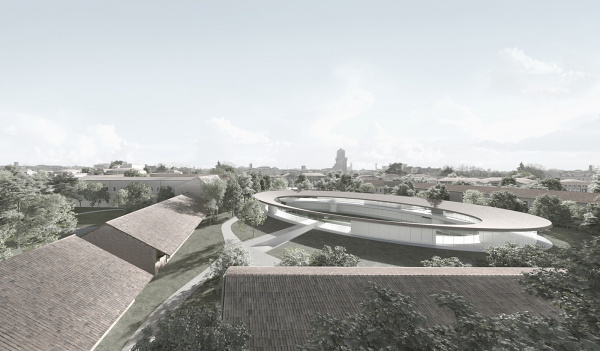 David Chipperfield Architects Milan, in collaboration with the engineering company Steam, has won an international design competition organised by the University of Padua for the construction of the new campus of Social and Economic Sciences, PiaveFutura. Among the other practices selected for the restricted procedure competition were Bak Gordon, Barozzi Veiga, Cruz y Ortiz Arquitectos, Foster + Partners and Sauerbruch Hutton. The competition called for the recovery of the former Caserma Piave complex to accomodate the new campus. These former barracks comprise approximately 50,000 square meters of land in the south-west of Padua’s historic centre and between the two city walls. The existing complex also includes buildings of the former Sant’Agostino convent, which have been used as part of the barracks since the nineteenth century. David Chipperfield Architects Milan’s winning scheme proposes both the recovery of historic buildings for teaching, administrative and research activities, and the introduction of a new building at the centre of the campus. Elliptical in form, the new pavilion sits partially underground and will serve study, catering, and conference activities. The architectural concept is rooted in the idea of a building that will serve both the University and the city, acting as a social condenser. The historic architecture of Padua, such as Prato della Valle and the Botanical Garden buildings, is a clear source of inspiration for the proposal.